Whether you learned about us through your family and friends, the Internet, or our weekly Armor of God program, we're glad you're here and want to invite you into our fellowship-- WELCOME! Our Shreveport-Bossier City congregation is officially chartered by the Church of God International (CGI) of Tyler, Texas. Incorporated in 1978, CGI has ministers and congregations scattered throughout the United States and Canada. We also have churches in Jamaica, the Philippines, and Australia. Our mission is to preach the Gospel throughout the world (Matthew 28:19). Membership is not required-- we are an open church and guests are always welcome! Being an "open" church, we may have people attending who are new in the faith. Some will not always keep each of God's laws as they should, and some will not believe everything we teach. We pray that all may be strengthened through the services we render and come to a closer walk with God. We request that you neither be judgmental nor base your standard for obedience on what you see your brother do. Christ is our standard, not weak and sinful men. The CGI observes the annual Biblical festivals (holy days) revealed by God in the Old Testament and upheld by the apostles and disciples of the New Testament church. The festivals are: the Christian Passover, Feast of Unleavened Bread, Day of Pentecost, Feast of Trumpets, Day of Atonement, Feast of Tabernacles, and the Last Great Day. Observing these festivals reminds us of God's plan of salvation for mankind and point us directly to our Savior, Jesus Christ. You can see the current Holy Day calendar on our WORSHIP WITH US page. HOW ARE Your SERVICES CONDUCTED? Our worship service usually consists of a few hymns and opening prayer, announcements, an occasional sermonette (a 10 to 15 minute message) or special music, a sermon (45 to 60 minutes long), and then a closing hymn and prayer. On Sabbaths when a minister is not available, a pre-recorded message or live webcast may be offered. There is no altar call or offering taken during the weekly service. If you come from a church with a highly formal service, you will find our liturgy more relaxed, edifying, and intimate. The teaching of the Bible and the preaching of the Word are vital to Christian growth and are central to our services. We encourage everyone to bring a Bible and follow along with the message. Tithing and giving offerings are personal expressions of worship-- how one goes about giving is up to the individual. Our primary focus in the CGI is to spread the gospel message to the world. 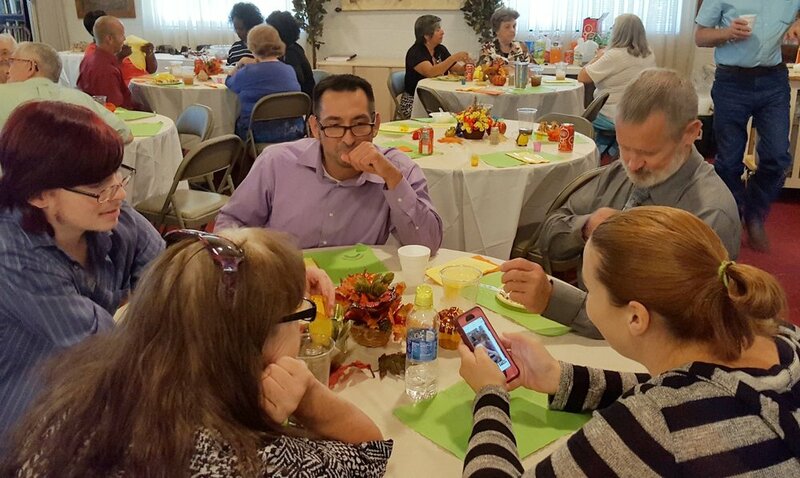 With that in mind, regular tithes and offerings may be mailed directly to the home office in Tyler to continue the outreach efforts of the church as a whole. These donations are also used for "feeding the flock," providing congregational support to our group for such things as building rent and ministerial expenses. No collections are taken during regular weekly Sabbath services. However, since there are commanded offerings associated with annual festival observance, offerings are collected on the high days during the year. Those wishing to give small donations locally to help with day-to-day expenses are welcome to do so. The CGI does not have a dress code per se. We recommend that whatever is worn should reflect attention to cleanliness, neatness, and modesty. With old and young meeting together, variety is expected and encouraged. Many church families do attend services wearing what traditionally are known as "church clothes"-- suits and ties for the men and dresses for the women. Others, perhaps influenced by contemporary leanings, prefer to come more casual. God will be pleased if you wear the "best that you have" as you worship the best that you can. We normally have a Bible Study prior to services which is open to all who wish to attend (these may be suspended on Holy Days or other special occasions). Currently, we are reading a few Bible chapters aloud each week and then opening up for discussion or questions. In addition, CGI.ORG has live Bible study webcasts which are presented during the week, along with the Bring on the Sabbath program on Friday nights. The website also has a vast library of online sermons, Bible studies, and literature available. We have a number of educational opportunities for our youth. The SPARKS program (website under development) is designed for our youngest members and offers two class levels (ages 3-7 and ages 7-12) where children participate in a brief Bible lesson and take-home craft. Teens (ages 13-18) advance to our IGNITE program, where the focus is on engaging our teens and helping them ignite a passion for Christ and for service. Young Adults (ages 18-30) can continue their studies and find real world advice and application through our INFUSE program, which focuses on developing and applying the principles of servant-leadership and Christian living. We encourage parents and the congregation to become involved in the implementation of these programs. If you have further questions or need more information, send us a message through our CONTACT US link. 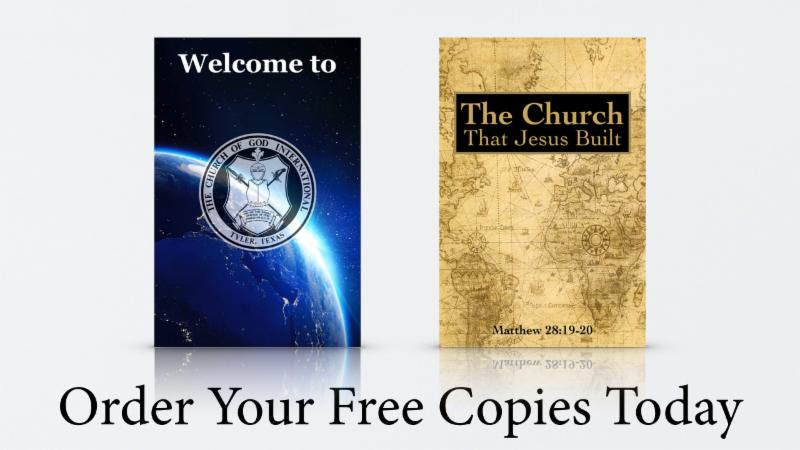 You may also request a copy of the booklet Welcome to the Church of God International. It is available from our FREE STORE.